Kundalini Yoga as taught by Yogi Bhajan is often described as the "yoga of awareness". It is effective at awakening the kundalini energy within each of us and allows you to uncover and bring forth your true potential! There are thousands of different "Kriyas" (set of asanas) from which one is taught in a single class in combination with "Pranayama" (breathing exercise) and meditation. Each of these components contains multiple benefits which most commonly include strengthening the nervous system and balancing the glandular system for overall health and wellbeing. 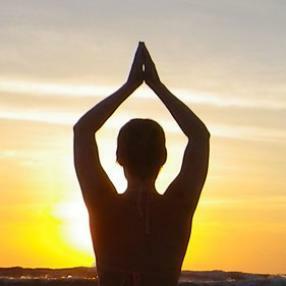 This class is suitable for beginners as well as those who are familiar with Kundalini yoga. 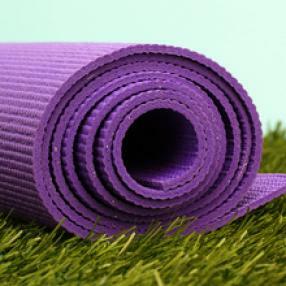 for a Hatha Yoga class for all levels. Individual classes available, and Reiki yoga available as well. This is not your typical yoga class. It incorporates mindfulness into a movement practice. The movements are slow and gentle, and we may break down a typical yoga pose in order to identify areas that are weak, compensatory or don’t move well. This will improve the efficiency of your movements. Build strength, not strain: If you want to develop strength, in a non-braceful, non-grippy way, this class teaches you how, but it might be humbling to discover that what you think is strength might actually be strain. Suitable for all levels: those who are new to yoga will learn a lot about their bodies, and those who are familiar with yoga will get an opportunity to slow down and check in, practicing mindfulness. The practice of mindfulness will help you manage information overload and improve your ability to pay attention. Flowing from the inside out this class focuses on traditional yogic asanas and breathing techniques to assist the healing process. Strengthen the physical, mental and spiritual while expanding your true inner self. Join a Holistic Healing class and reap the healing benefits. ~~USING A WIDE VARIETY OF TECHNIQUES, PARTICIPANTS WILL BE GIVEN STRATEGIES TO ENHANCE RANGE OF MOTION (ROM) TO WORK THROUGH SOFT TISSUE RELEASE TECHNIQUES, IMPROVE STRENGTH USING FULL BODY EXERCISES AND REDUCE PAIN AS A RESULT OF IMPROPER MOVEMENT PATTERNS. IN CLUB SIGN UP REQUIRED! A lunch hour dynamic class that flows through postures and then holds postures while focusing on the breath. Suitable for all levels as modifications are offered. HOT YOGA USES HEAT AS A POWERFUL DETOXIFYING ELEMENT TO POSTIVELY IMPACT THE BODY THROUGHOUT THE PRACTICE. THE CLASS GROWS THROUGH BREATH WORK, STANDING AND BALANCING STATIC POSTURES AND FLOOR WORK TO STRETCH THE MUSCLES AND CONNECTIVE TISSUE. EACH POSTURE IS HELD FOR LONG ENOUGH THAT A STUDENT CAN FIND THEMSELVES IN IT AND BUILD BOTH STRENGTH AND EASE WHILE THERE. THIS CLASS SERVES ANYONE WHO LOVES THE INTENSITY OF THE HEAT AND A STRONG, PEACEFUL PRACTICE. An accessible stress-busting yoga exploration for beginner and intermediate levels. This class allows you to gradually move into and out of poses and easily release tension, heavy energy, and physical fatigue or discomfort with the breath. Enjoy gentle lengthening and strengthening movement and mindful breathing as you explore your range of movement, forget your mind, and feel through your body. Go home feeling uplifted and limber but calm and clear. $10 drop-in or 85$ for 10 classes! A blend of restorative and gentle yoga with mindful breathing & meditation techniques that stimulate your natural healing response. Exploring yoga postures using the wall. A gentle way to get into our deeper connective tissues, which calms the nervous system and helps to relieve anxiety, depression and sleep disturbances. Recommended for students with at least 3 months of consistent class moves at a moderate pace. Intelligent sequence of poses designed to get the body moving in all directions. Offering new layers to challenge your practice, build strength, balance, and gain more flexibility. Come grow at your own teacher will assist as needed. Open to explore! A class focusing on connection of breath and movement. Built upon a traditional Hatha yoga practice, and designed for those who want to move mindfully and find freedom in movement. Expect both floor-based and standing poses as you develop strength, flexibility and balance, along with some smooth flowing movement. Leave class ready to slip into bed for a blissful sleep! A calming, stress-relieving class to stretch and strengthen the body gradually. Class is aimed at improving flexibility, and calming the mind. Recommended for all levels looking for a soothing, relaxing, and restorative experience, especially those newer to yoga or working with special concerns or injuries. Class aims to reconnect and take time to feel your body move. All bodies welcome.